I often use this site to warn others about various scams. See my post on the DMV Scam. I wanted to share my experience with this company. Some of it is good. Some of it is not so good. My red flag alert was waving like crazy on this company. At this point I was about to hang up. But I got connected to these guys through Skype support. They must be legit. So, I did as requested and scanned my check for $109.45. (Who charges exactly $109.45?) He then took over control of my computer for a solid hour. I sat there and monitored his work for about half that time. I did leave him with my computer unmonitored for some time. After an hour or so he called and said he needed to reboot the computer. Okay, so I did that and signed in and discovered that my camera was working again in Skype. I was so pleased with the results that I wrote another check from a different account and sent it to Gtek the next day. 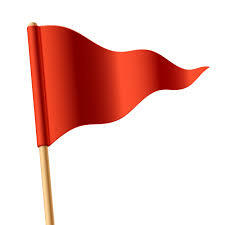 Now, here comes some more red flags. Two weeks later, while balancing my accounts, I noticed that Gtek had deposited two checks: the one I mailed them plus the one they scanned. I called and talked to a few people and was told that they would look into it. When I didn’t hear back from them I called again. This time I got someone who told me that they would refund me for the double charge. A couple of weeks later I received a check for $109.45 from Gtek. I still had some serious doubts about this company, but they solved my issue and they refunded a double charge. So I’m good at this point. The very next day after cashing their check, I got a call from the same Gtek support tech who I worked with earlier. “We have reason to believe that your computer has been infected with malicious software,” he informed me. “How do you know that?” I ask him. “We’ve been getting popup alerts. Your computer was infected sometime between 7:00 and 8:00 am yesterday.” By this time I had red flags waving all over the place. First off, my computer wasn’t on during the period he mentioned. Secondly, how is it that he would be getting pop up alerts on his computer? Either he was lying, or he was telling me that they installed some software on my computer and something was going haywire and they needed to fix it. Neither option is good. Here’s another red flag. I heard dogs barking in the background. So either this guy was working from home, or this Gtek is one hip company that allows its workers to bring their pets to work. Despite my reservations, I gave him control of the computer. I had mixed feelings, but they did fix my camera. After a few minutes running various DOS commands he shows me a file and says “here is your problem.” He then tells me that I have two choices: buy a new computer or let him fix it for $199. I hung up immediately after he told me this. Would a legitimate company call out of the blue and tell you that your computer is infected and you have to buy a new one or pay them to fix it? That’s nuts. Since then I have done a number of searches on this company and have not found anything mentioning a scam. I’m sure they have Google alerts set up and they will know when this post goes up. I will give them an opportunity to respond and I will post their response. If you don’t see a response, I would think twice before doing business with this company. Lastly, I have had no issues with my computer since their threatening phone call. This is Rowan from Gtek Info Solutions LLC. It seems you received a call from any random scammer with barking dogs in the background. We never call back our customer for such activities. I request you to reported us the same in case you receive any call in future. You have our direct number (1-844-564-9252). Also request you to remove your comment about our business, you can verify the same by calling us. I can assure you that I did not receive a call from a random scammer. The person who called me is the same person who initially fixed my Skype issue. He is the same person that called three separate times telling me that I had malicious software on my system. The same person who wanted $199 to fix my mysterious issue. If there is anyone scamming someone, it is your company. You are free to comment and try to explain your company’s strange behavior. I will post your reply. I will not take down the post.